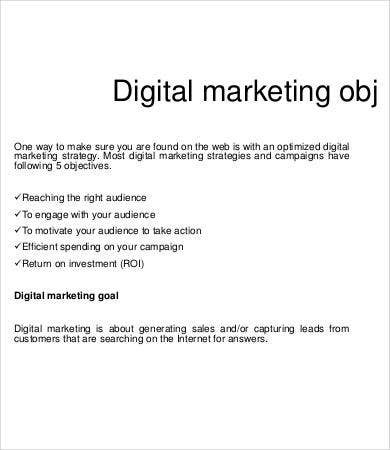 Marketing, both offline and online, needs planning before it is actually implemented. 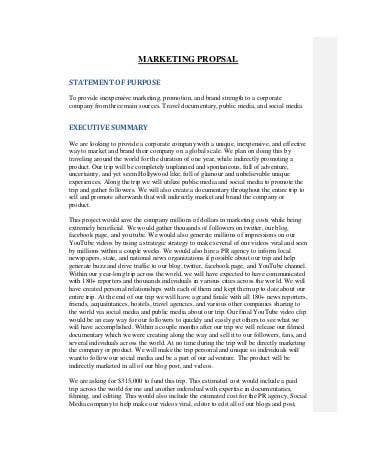 A company needs to know all the factors that are needed in the creation of a marketing campaign that is why it is very important to start with a marketing proposal samples rather than fully implementing a marketing plan. 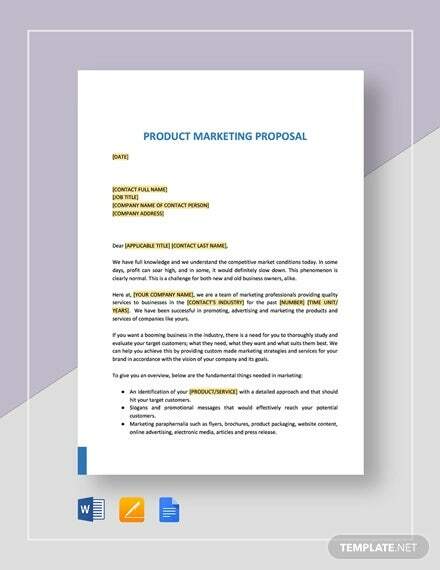 A marketing proposal is a document that lists all the items needed to complete a marketing project. 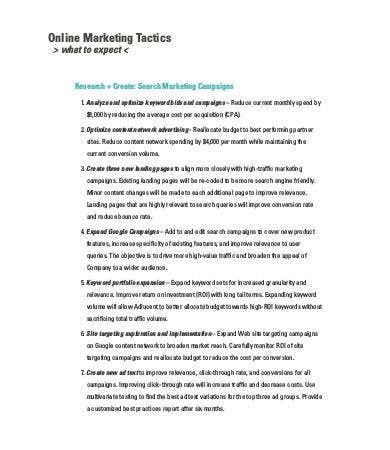 It is used by the marketing department of a business to ensure that they are guided by a framework so that they can achieve their desired marketing results. 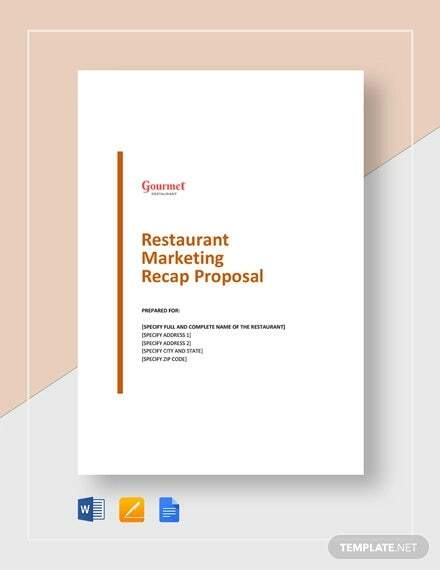 You may take a look at our Proposal Template samples for references. 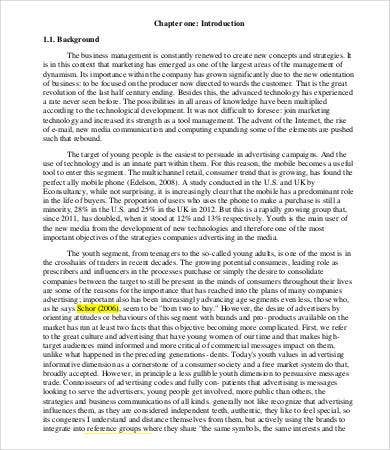 Finishing a marketing proposal does not necessarily mean that you can already do what is written on it. 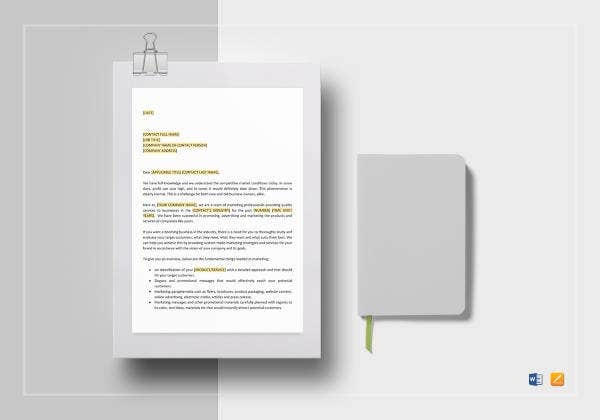 Once approved, you need to create revisions and adjustments based on the company’s input with regards to the initial proposal. 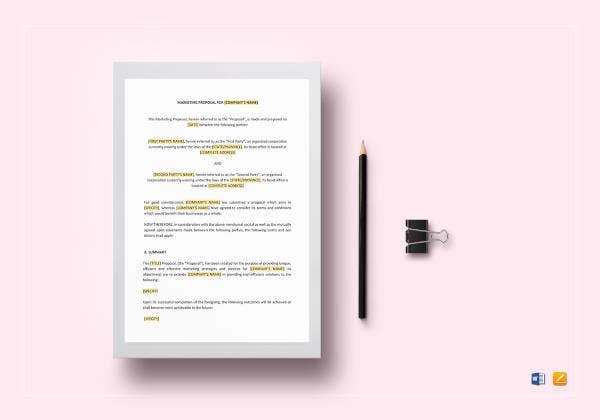 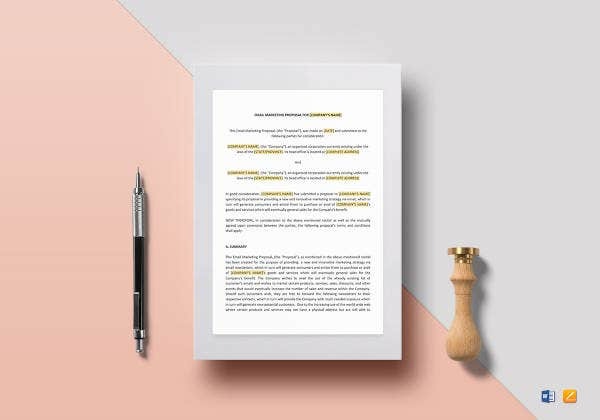 Should all revisions be approved, only then can you call the document a marketing plan which can already be used as a guide for the processing of the marketing activities listed on it. 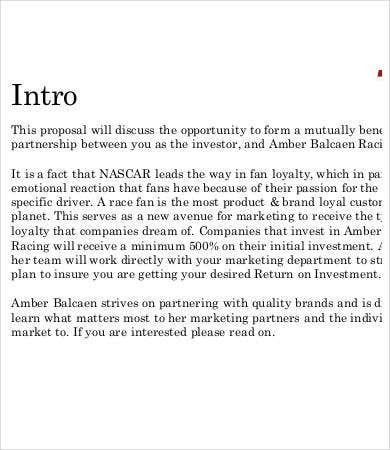 Know the purpose of the marketing proposal. 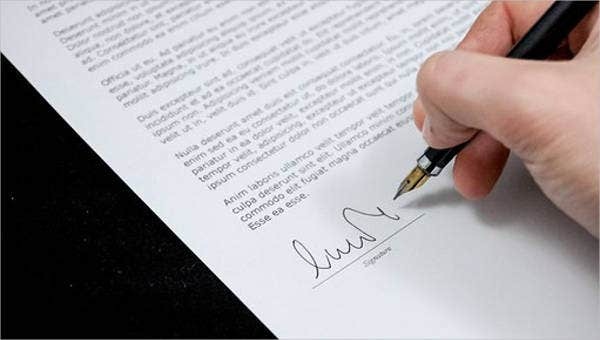 From there, list the possible help that it can give to the company should it be implemented. 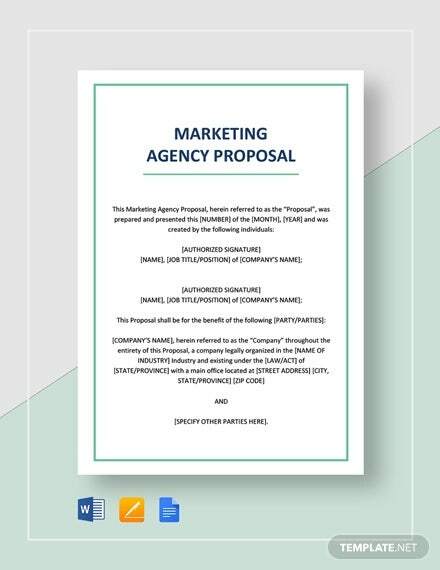 Make sure that you have all the needed details of a marketing proposal including the time duration needed for it to be fully applied, the processes and means on how the team can achieve it, and the items or tools needed for the achievement of such. 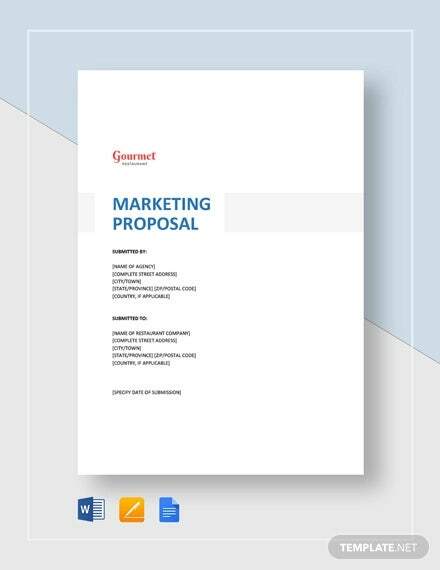 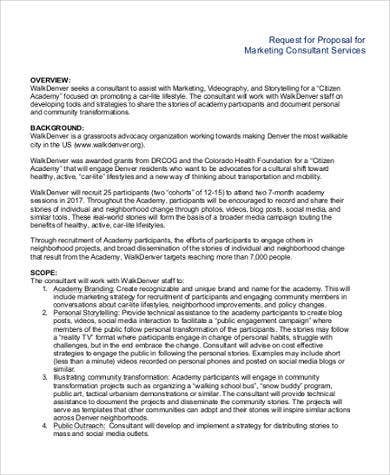 Aside from a marketing proposal, we also have Research Proposal Template and a Project Proposal Template samples both available for download. 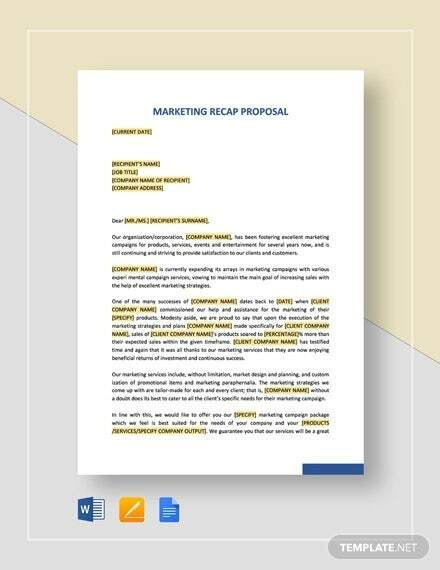 Before creating your marketing proposal, make sure that all that is written in there has a basis. 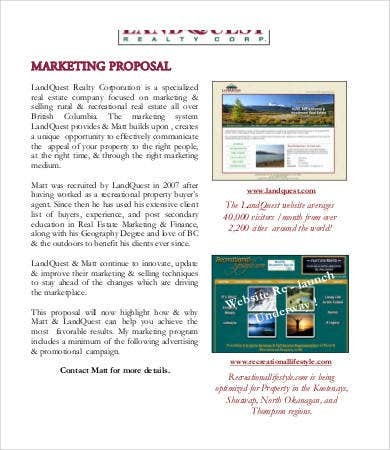 They need to follow a specific time frame and the expected results should be backed up with facts either of recent projects alike that have succeeded or the same projects from competitors that have been keenly analyzed. 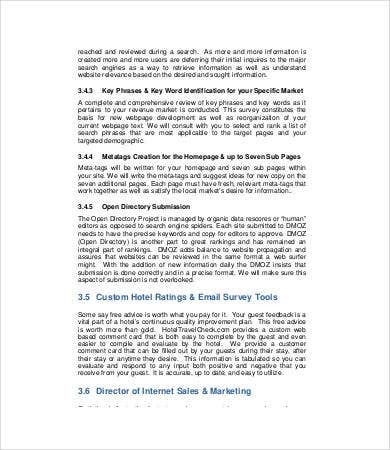 You should know all the factors that you are write within this document as it will greatly affect the final marketing plan that you are to follow should it be approved. 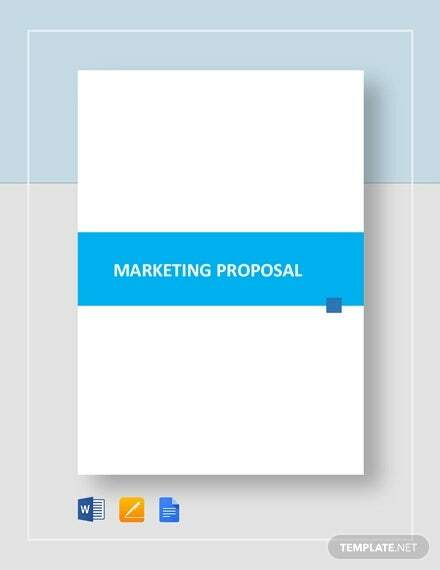 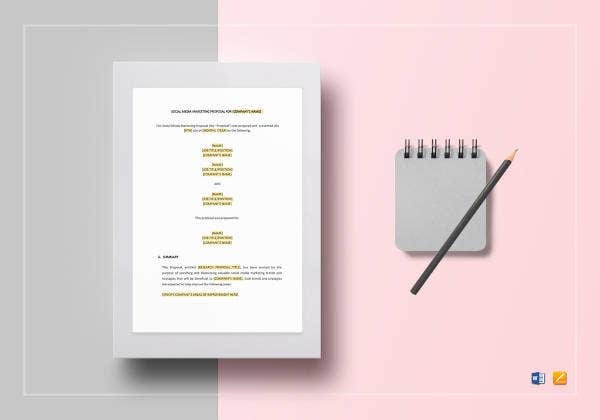 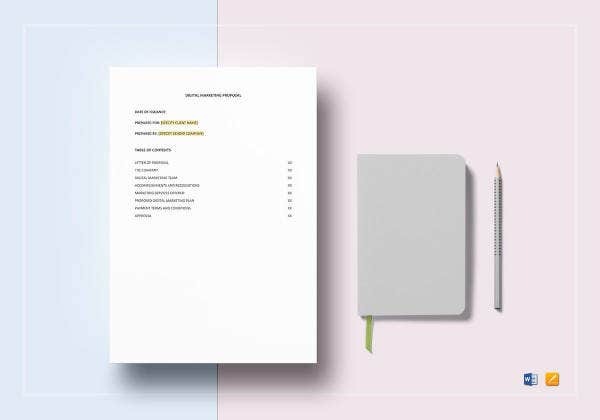 If you think that this article has already helped you to have a grip of knowledge about a marketing proposal, you may also browse through our Business Proposal Template should you be needing it as another reference.